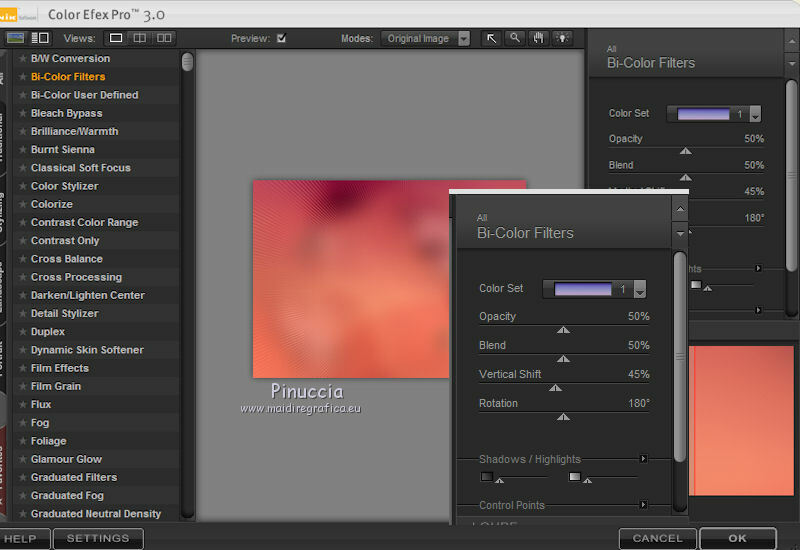 You can change Blend Modes according your color. 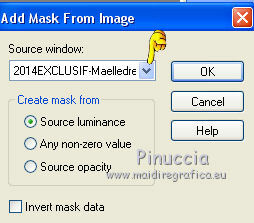 Open the mask in PSP and minimize it with your material. and the Background color to #61051f. 2. Set the foreground color on Foreground/Background Gradient, style Linear. 3. Open a new transparent image 900 x 650 pixels. Set the Foreground color to #bdbf91. Flood Fill with the new foreground color #bdbf91. 5. 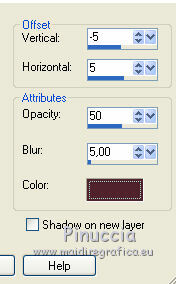 Layers>New Mask layer>From image. 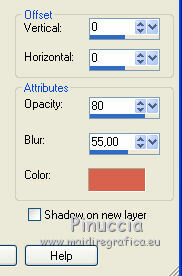 Set the blend mode to Luminance (legacy). Set the blend mode to Hard Light. 7. Open the tube ketmisted2013059 - - Edit>Copy. 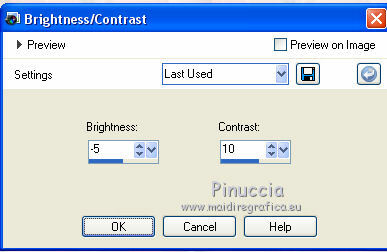 Image>Resize - 2 time to 80% and 1 time to 90%, resize all layers not checked. Move the tube at the top right. 9. Open the tube kt_rose-lovenote - Edit>Copy. Move the tube à droite. 10. 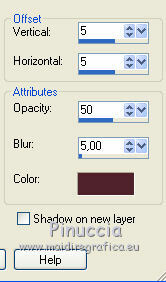 Effects>3D Effects>Drop Shadow, color #52232d. 12. 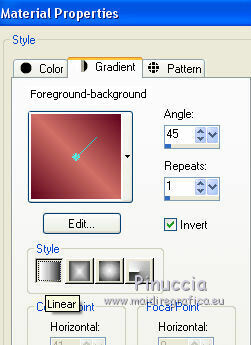 Effects>Plugins>AAA Frame - Texture Frame. Repeat the plugin one more time. 16. 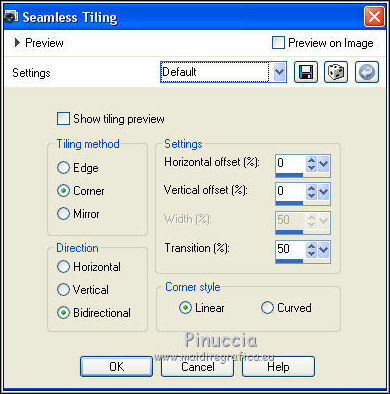 Effects>Image Effects>Seamless Tiling, standard. 19. Effects>Plugins>Nik Software - Color Efex Pro. Bi-color filters - à droite Color set Violet/Pink 1. 20. Activate the layer Merged. 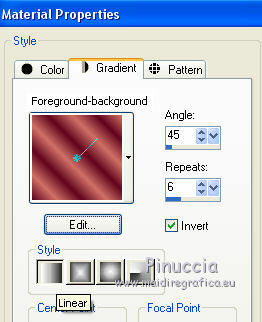 Effects>3D Effects 3D>Drop Shadow, color #52232d. 23. Image>Add borders, 5 pixels, symmetric, color #61051f. 25. Again set the Foreground color with #d17068. 26. Open the tube Min@.Lady.excl.10.03.15 - Edit>Copy. 27. Effects>3D Effects>Drop Shadow, color #d8624d. 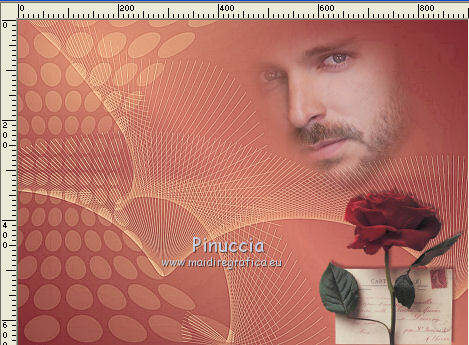 Image>Add borders, 5 pixels, symmetric, color #61051f. 29. Sign your work et save as jpg. Tubes of this version are by A PSP Devil, Cherokee and Mone.